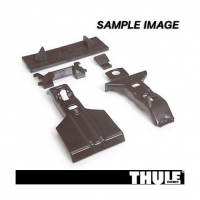 Thule makes hundreds of different kits to ensure a custom fit between the appropriate foot pack and the specific make and model of your vehicle.This product will be shipped directly from Thule and will leave their warehouse in 2-3 business days. Eligible for UPS ground shipping only. . 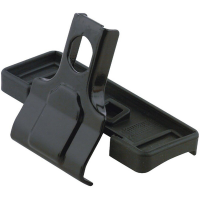 Coated brackets protect vehicle finish. 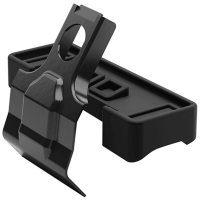 Use with Thule foot pack, load bars, and locks (sold separately). Please consult the Thule Fit Guide to match the correct Thule parts with your vehicle.